#214: New Jersey 2017 Election Results | mark Joseph "young"
This is mark Joseph “young” blog entry #214, on the subject of New Jersey 2017 Election Results. The results are in, and there are perhaps no surprises, only disappointments. We looked at the gubernatorial candidates last week. 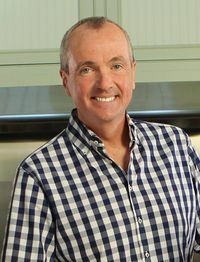 Our new governor is Democrat Phil Murphy, former Golman Sachs investment banker and formerly National Finance Chair of the Democratic National Committee and United States Ambassador to Germany. His running mate, Democratic Assemblywoman Sheila Oliver, is former Assembly Speaker. The pair handily defeated Republicans Lieutenant Governor Kim Guadagno and Mayor Carlos Rendo, with 55% (1,065,706 votes) of the nearly two million votes cast, against 42% (811,446) for the Republicans. New Jersey’s governor serves for four years, and can serve up to two consecutive terms. Re-elections are perhaps the norm in the state, as everyone has heard the name of the governor. The five third-party tickets each pulled less than one percent, with the leader, “Lower Property Taxes” party candidate former Long Hill Mayor Gina Genovese and running mate Derel Stroud leading with 9,830 votes, followed by Green Pastor Seth Kaper-Dale and Lisa Durden with 8,192, Libertarian Peter Rohrman and Karese Laguerre at 8,178, Constitution Party candidate Matt Riccardi with 5,614, and “We the People” candidates Vincent Ross and April Johnson with 4,252. New Jersey voters almost always approve Public Questions, and did so again, with both the library bonds issue and the environmental lock box. Looking at the State Senate, most but not all of the incumbents were re-elected. In district 2, incumbent Democrat Colin Bell was defeated by Republican Chris Brown; in district 11, incumbent Republican Jennifer Beck was defeated by Democrat Vin Gopal. Meanwhile, there were three districts in which incumbents did not run for re-election. In district 13, previously held by Republican Joseph Kyrillos, Republican Declan O’Scanlon defeated Democrat Sean Byrnes. In district 20, previously held by Democrat Raymond Lesniak, Democrat Joseph Cryan defeated Republican Ashraf Hanna. There was a turnover in district 7, previously held by Republican Diane Allen, where Democrat Troy Singleton defeated Republican John Browne. This increases the Democratic control of the State Senate by one seat (two votes), 25 to 15, but does not give them a “supermajority”. Although as of this writing the two seats in district 8 are considered too close to call, it is clear that the Democrats have picked up at least two seats, at 54 (out of 80), while the Republicans are guaranteed at least 24. Democrats in district 2 sent John Armato to replace Republican incumbent Chris Brown, who in turn defeated the Democratic incumbent to move to the Senate. In district 13, where incumbent Declan O’Scanlon moved to the Senate, Republicans kept control of the seat with the election of Serena DiMaso. Democrats picked up a seat in district 16, as Republican incumbent Jack Ciattarelli retired and was replaced by Democrat Roy Freiman. Democrat Yvonne Lopez replaced her retiring Democratic colleague John Wisniewski in district 19. In district 24, Republican Harold Wirths replaces his retiring Republican colleague Gail Phoebus. Finally, in district 40 Republicans kept control of the seat, with Christopher DePhillips replacing a retiring David Russo. In district 8, although it appears that incumbent Republican Joe Howarth has been re-elected (27,820 votes), and Republican Ryan Peters will probably replace his retiring Republican colleague Maria Rodriguez-Gregg (27,603 votes), Democratic candidates Joanne Schwartz (27,226) and Maryann Merlino (27,057) are close enough behind them that the race has not yet been officially decided. If those results are certified, the Republicans will have 26 seats, a loss of 2 (4 votes) and less than a third of the Assembly, giving the Democrats a two-thirds supermajority in that house. It is overall a dark day for Republicans, and a bright one for Democrats. Interestingly, the national media was touting the NJ results as a huge victory. Seems it’s about par for midterm (yeah, it’s not quite midterm) election. And, as NJ typically leans towards the Democrats anyway, it seems this is really just rebalancing towards the norm.